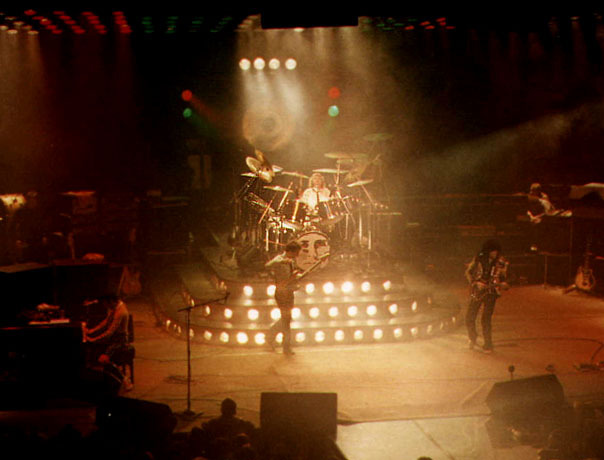 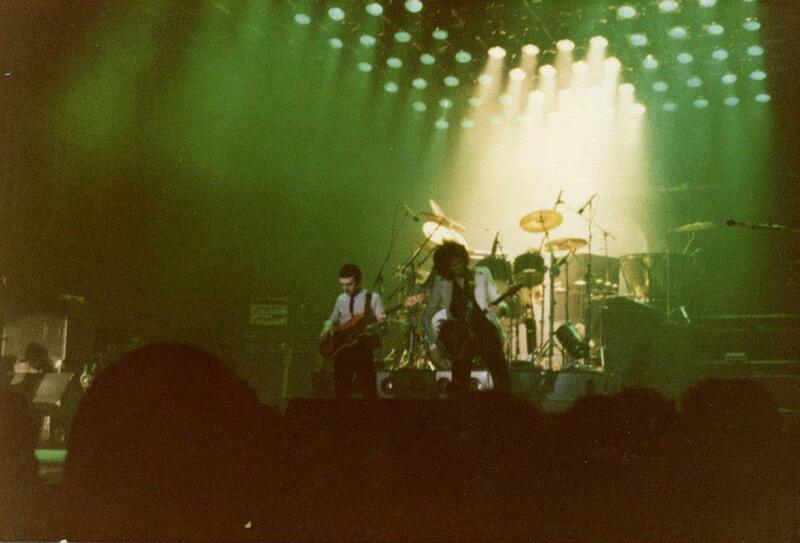 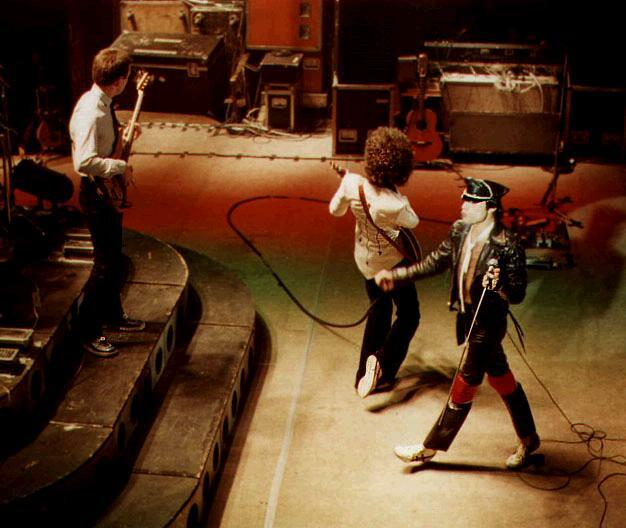 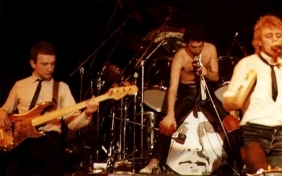 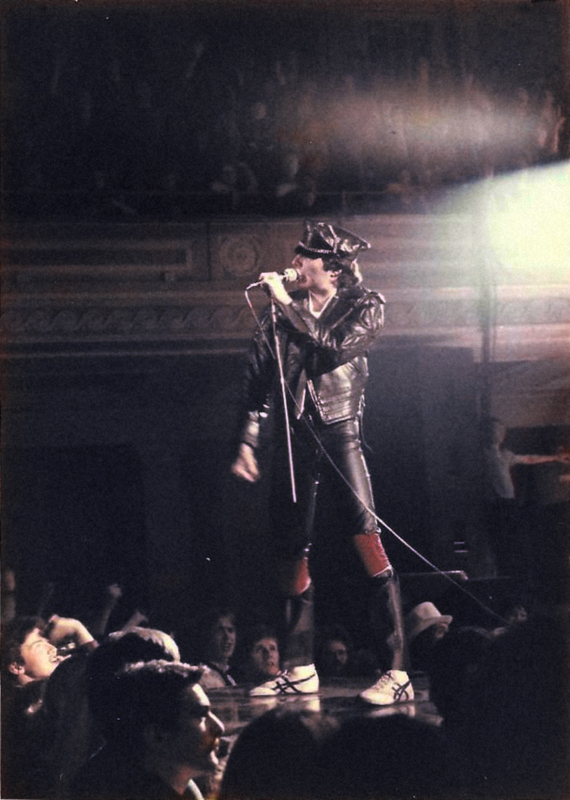 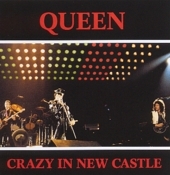 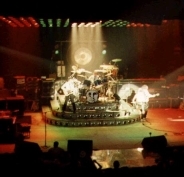 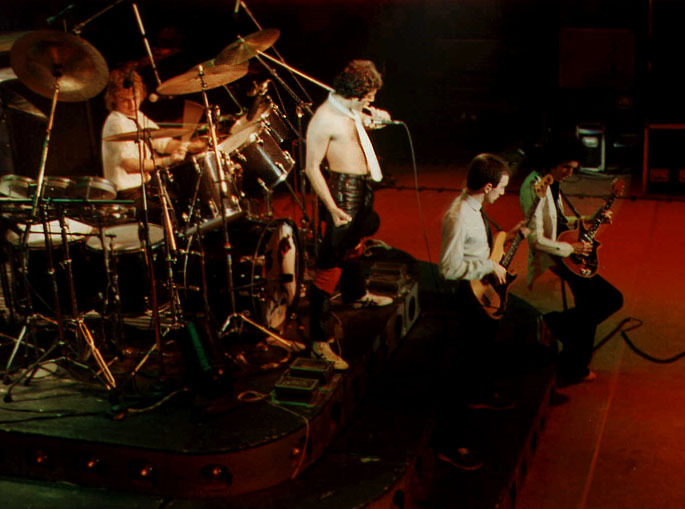 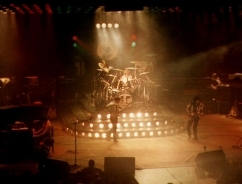 The second night in Newcastle is the earliest known instance of Queen opening with Jailhouse Rock. 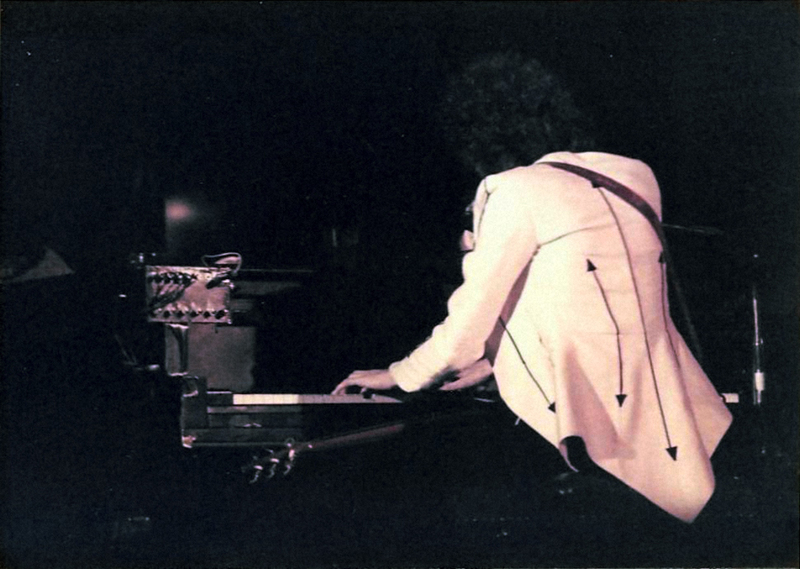 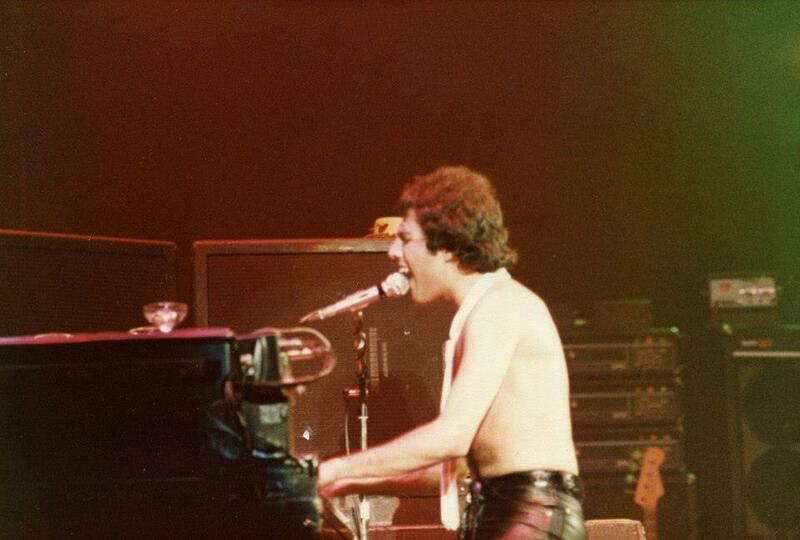 Mercury hints at The Millionaire Waltz on the piano after Mustapha. 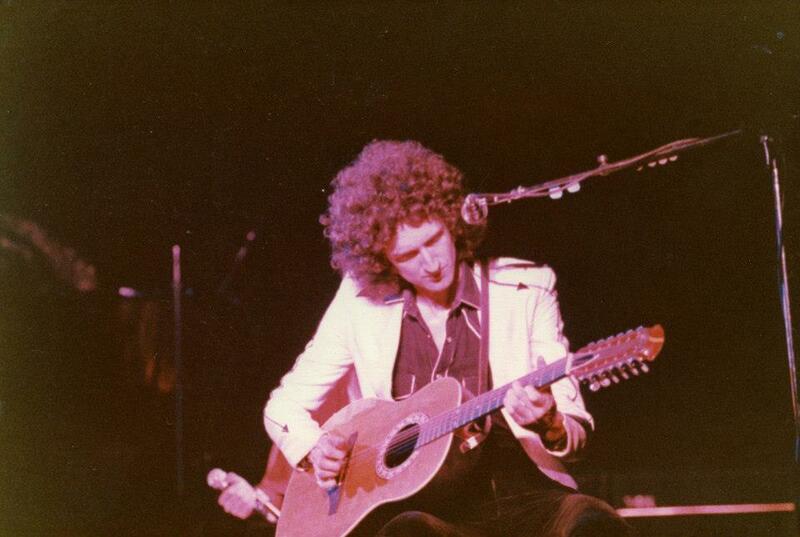 His voice is in pristine shape, hitting incredible heights in '39 on "My love this cannot be." 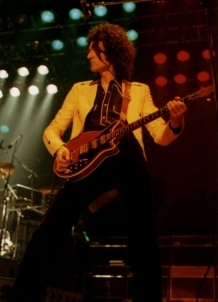 Roger and John join Brian near the end of his solo spot, resurrecting a jam type situation that was dropped part way through the Japanese tour earlier this year. 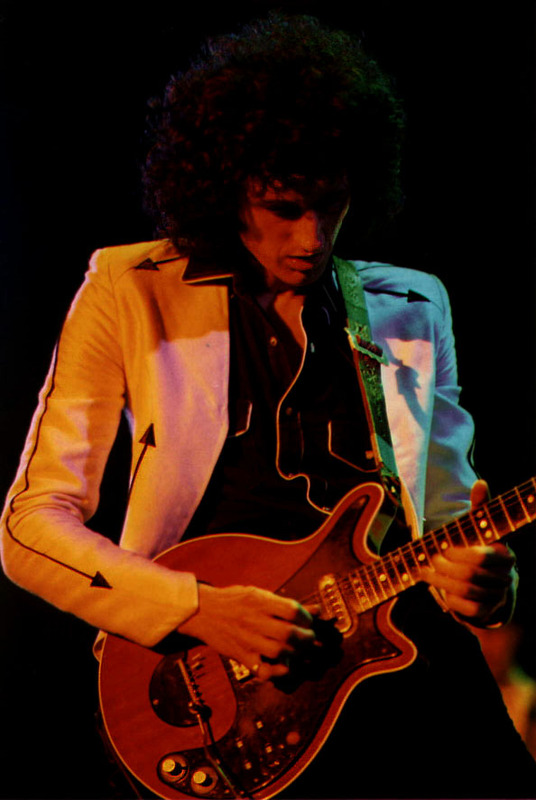 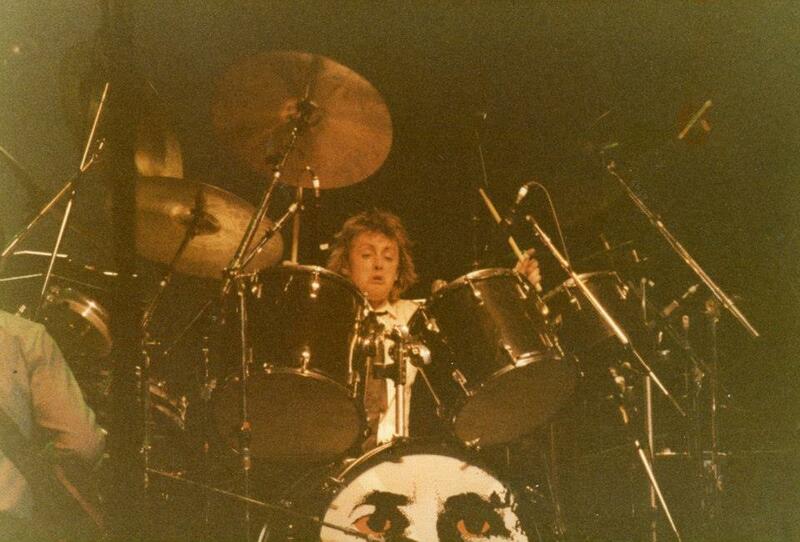 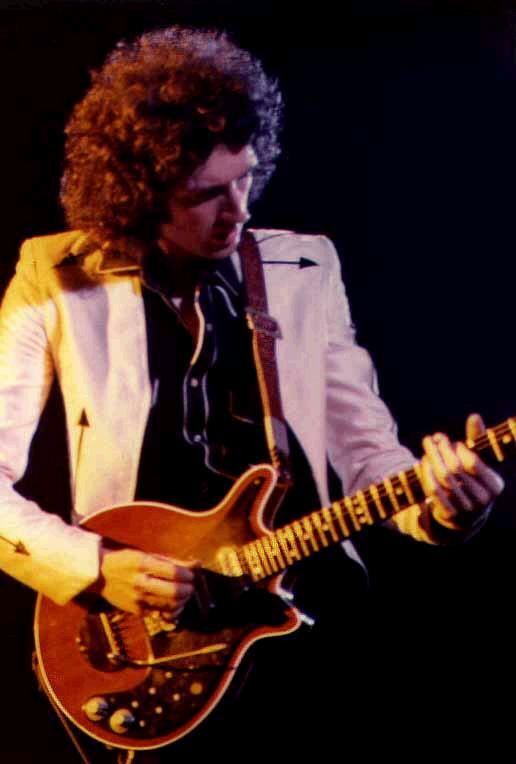 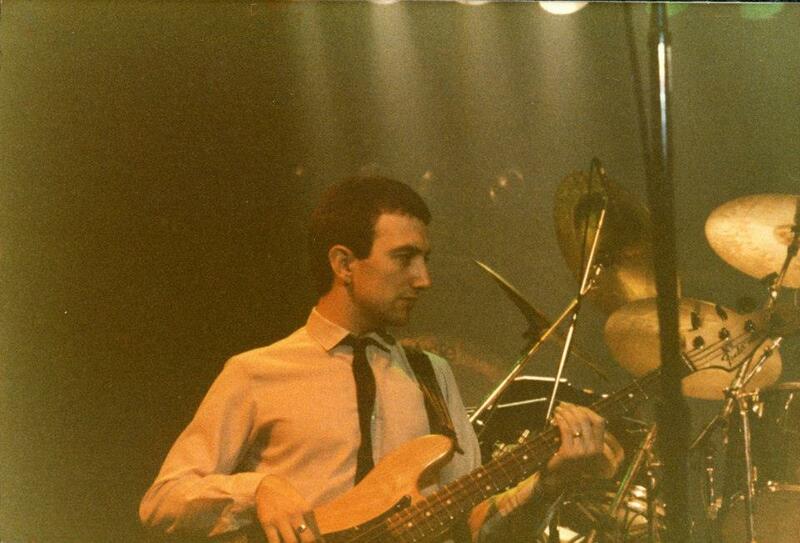 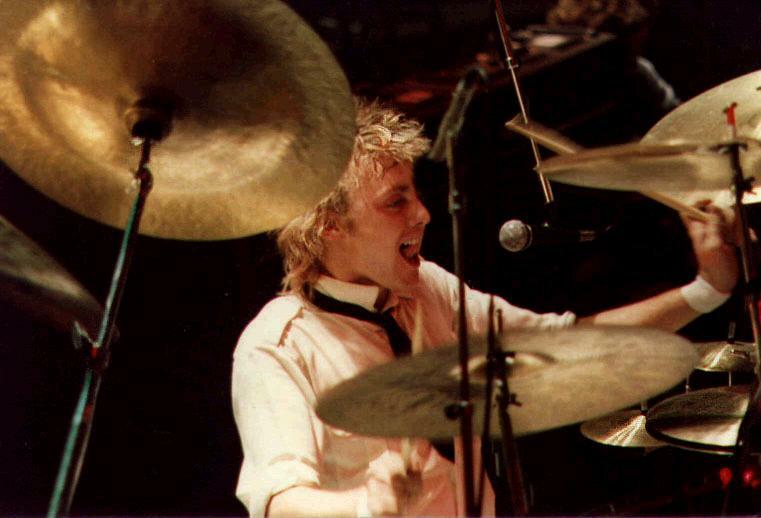 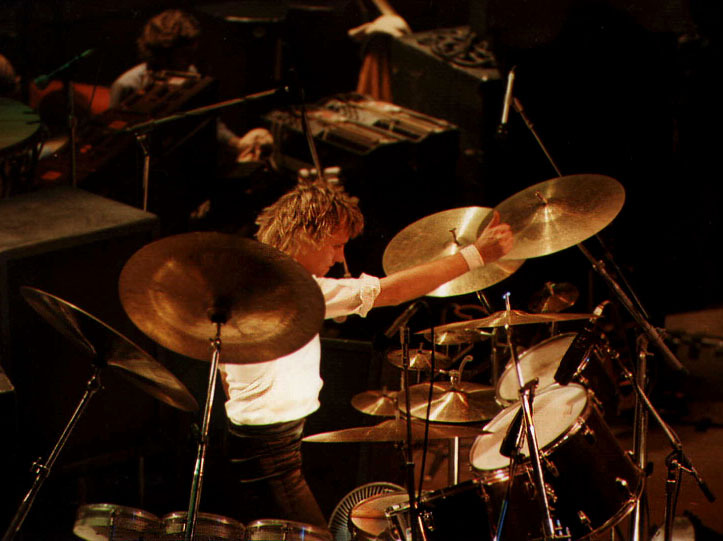 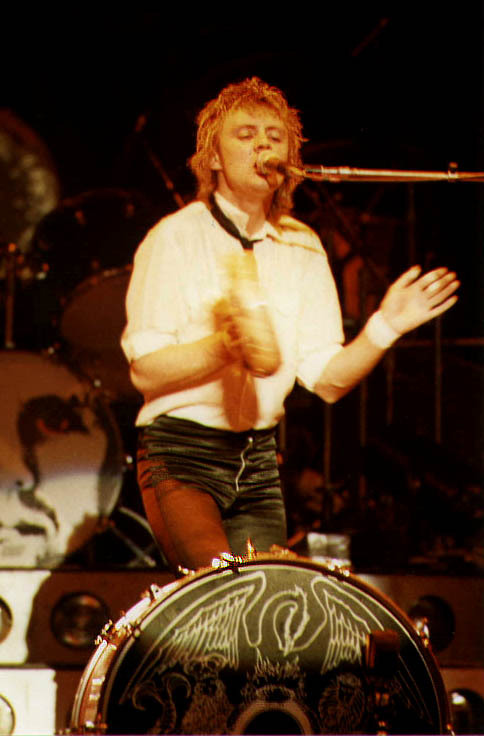 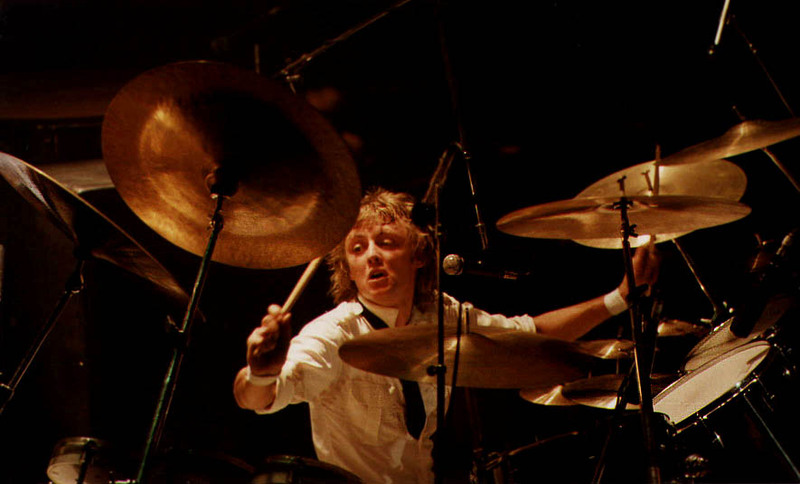 And instead of playing the end of Brighton Rock, Roger leads the band into Liar. 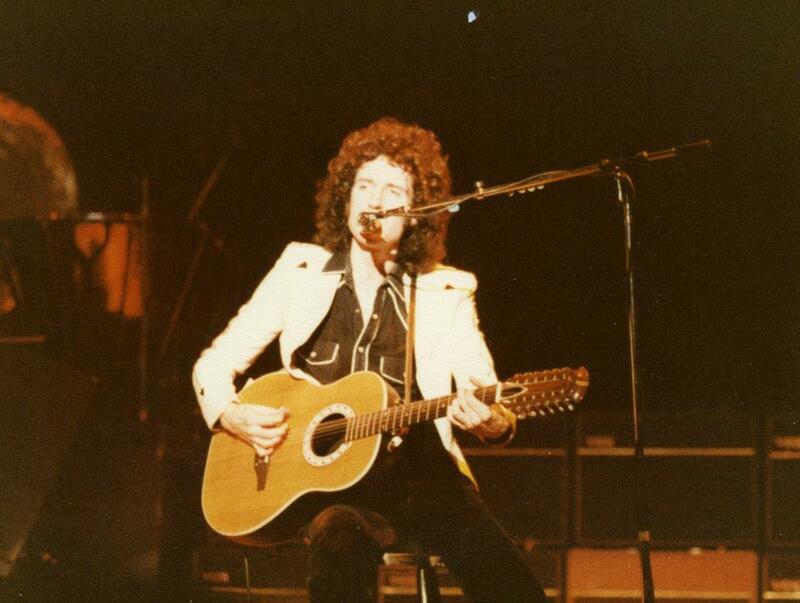 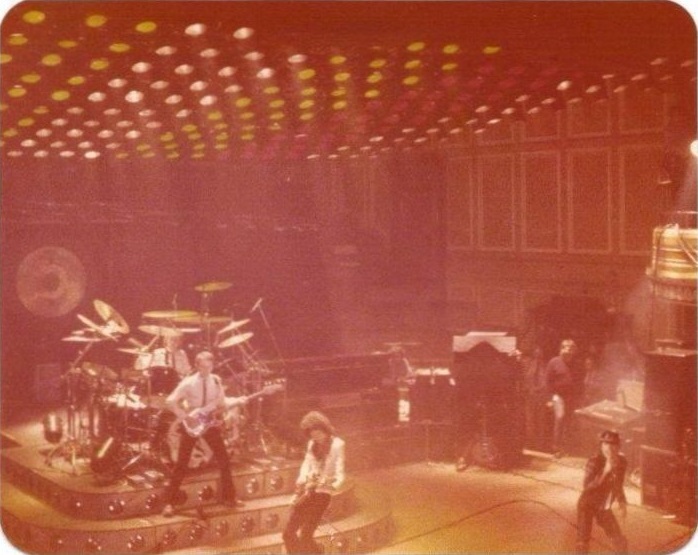 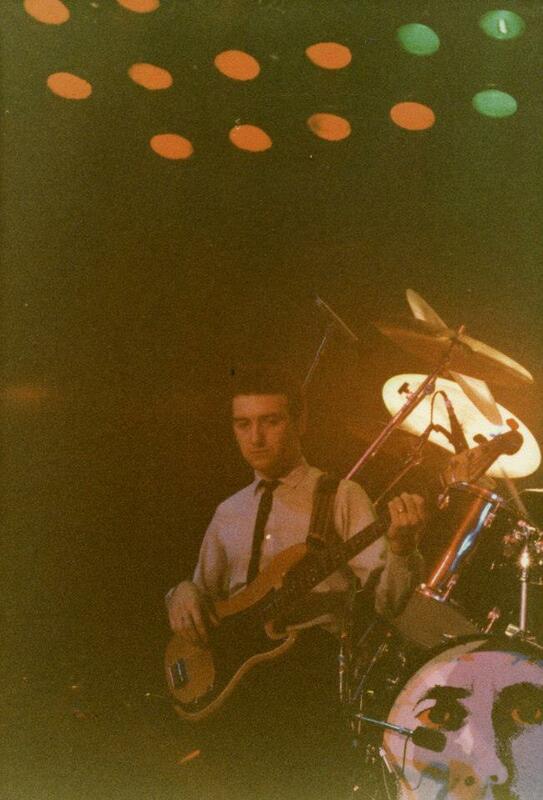 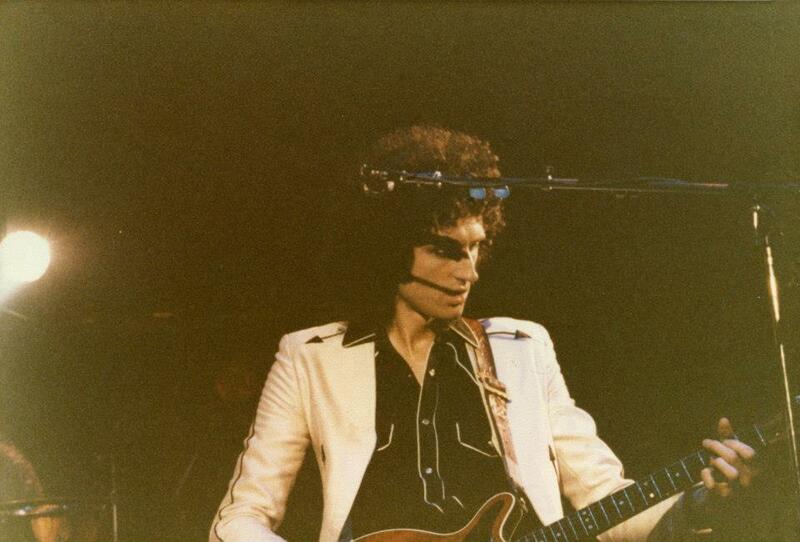 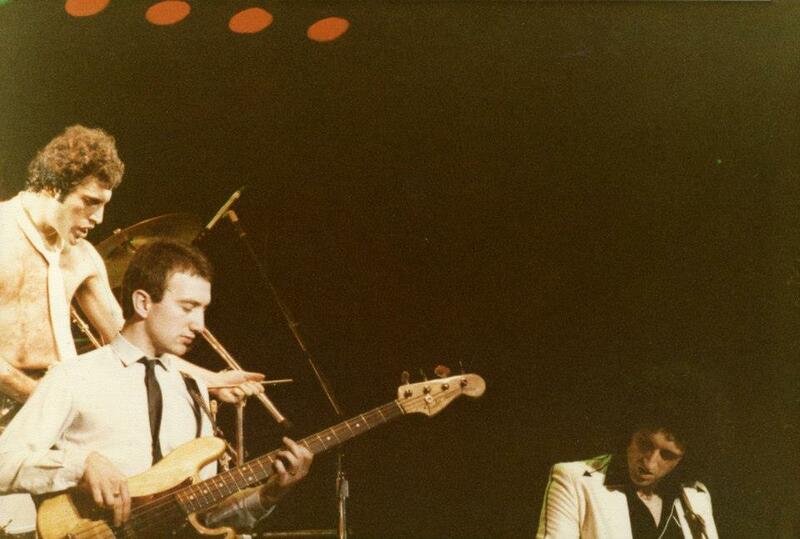 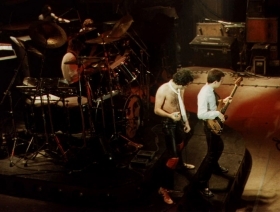 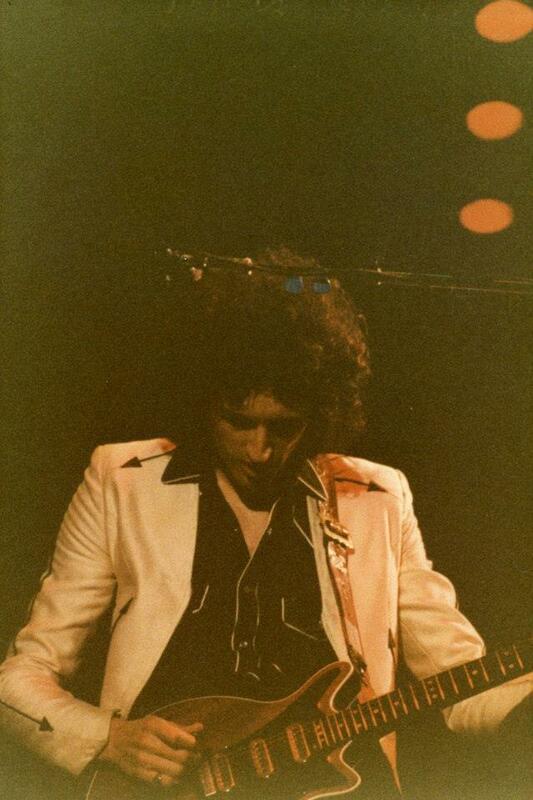 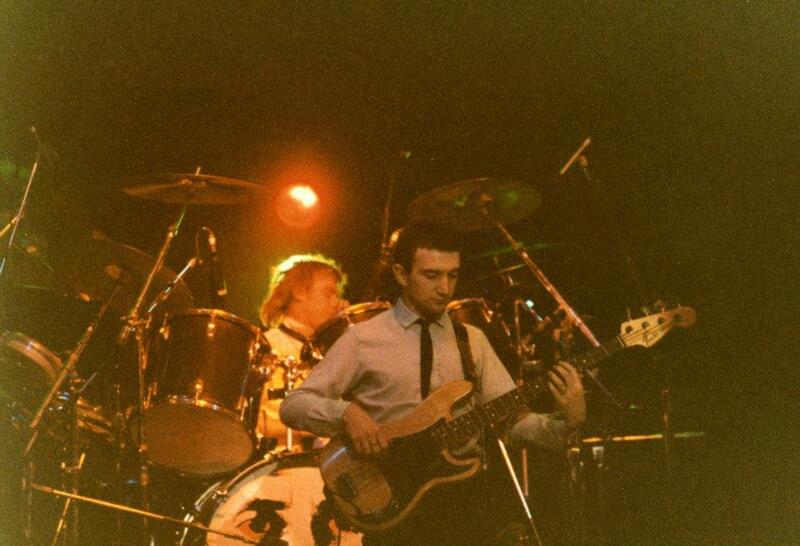 The song is a very welcome addition to the set in '79, and it would be played a few times on this tour. 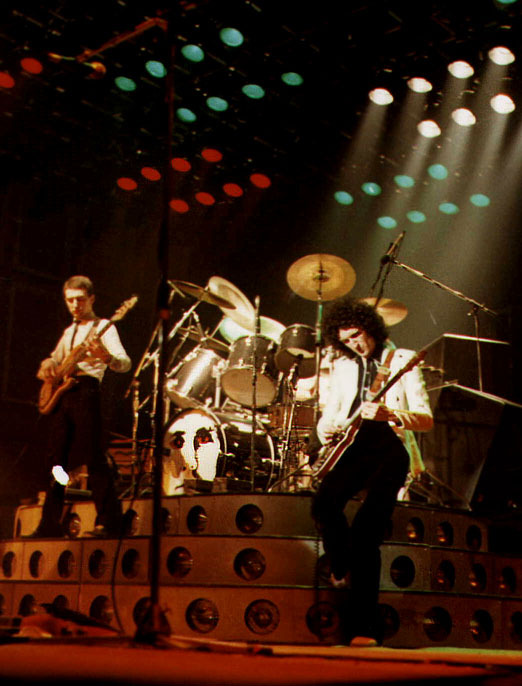 Brian has a little trouble getting going into its solo section, but otherwise it is flawless, and Freddie turns in undoubtedly his greatest recorded vocal performance of the song. Don't Stop Me Now and Spread Your Wings are beautiful versions, and even We Are The Champions is sung very passionately. 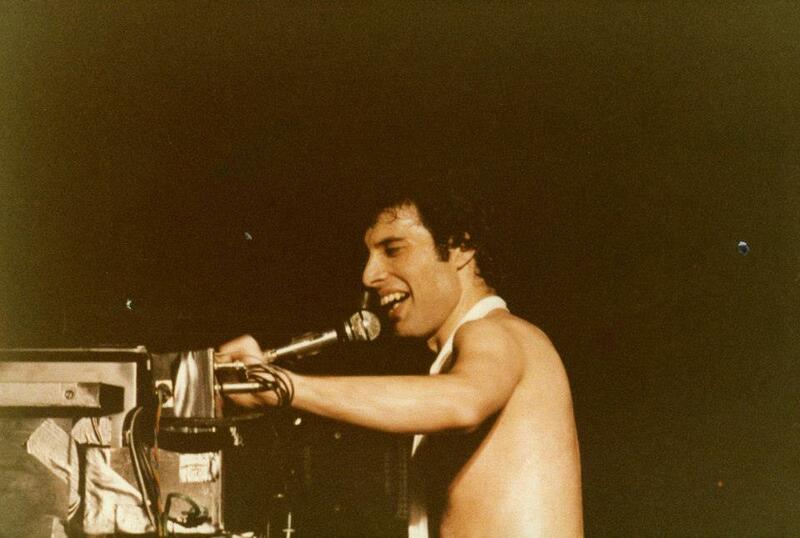 He also sings Bohemian Rhapsody perfectly like he did in Glasgow. 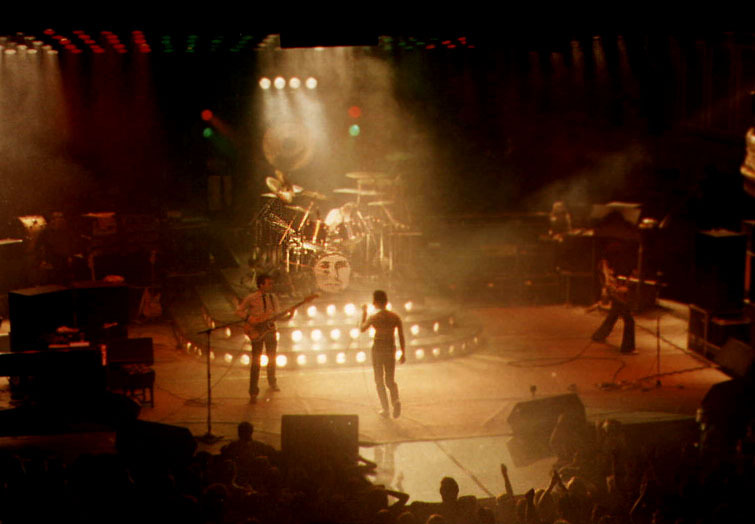 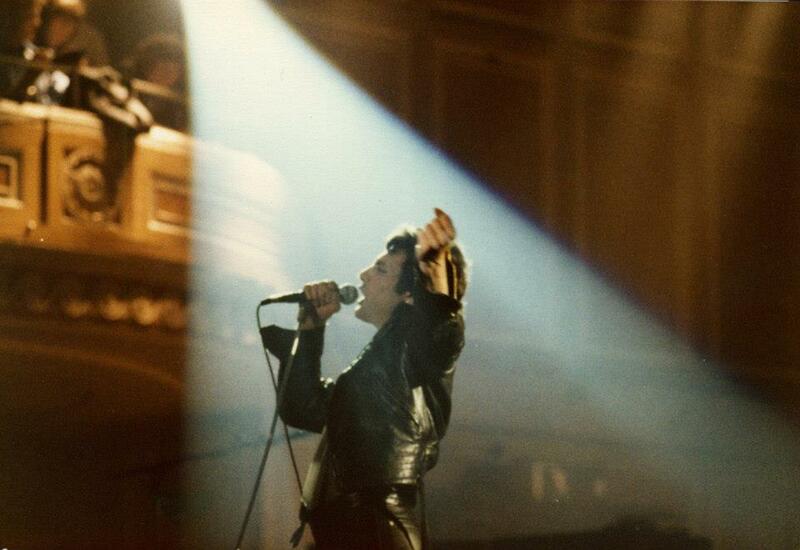 Simply put, this period sees Freddie Mercury at his vocal best. 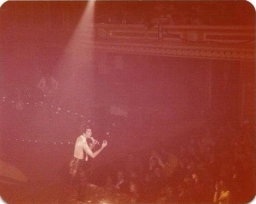 For years the first set of pictures were thought to be from the first night. 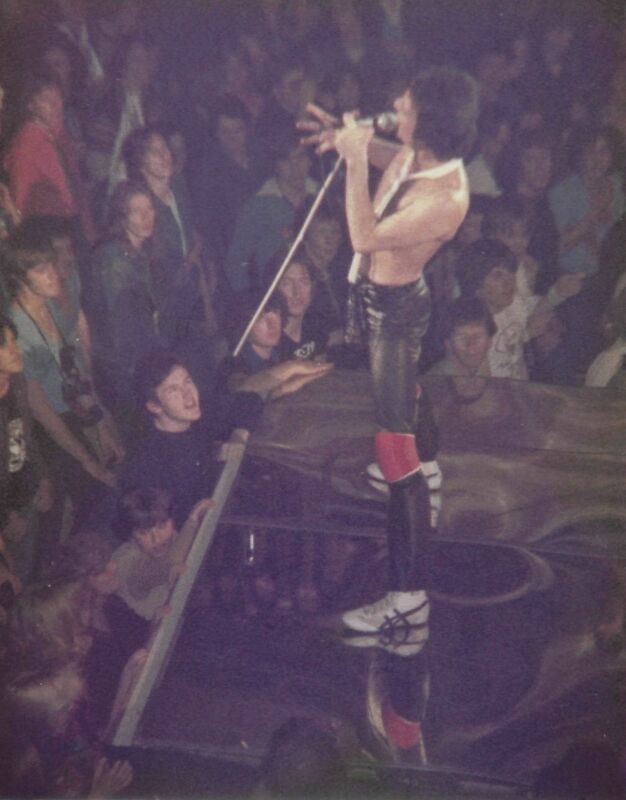 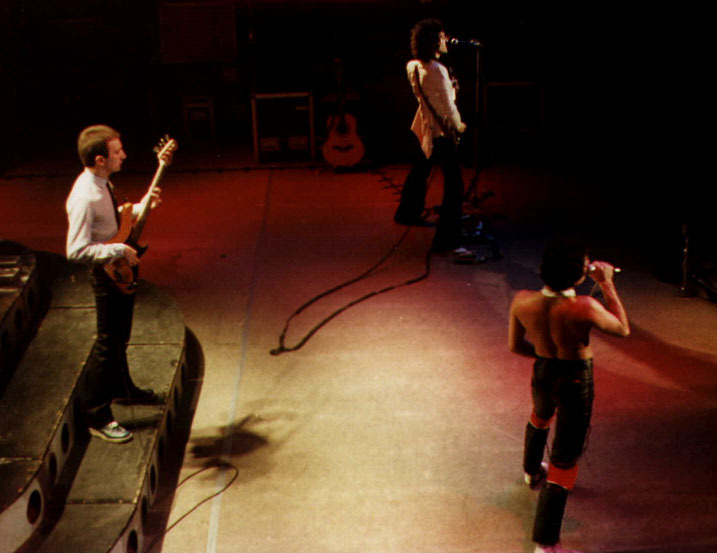 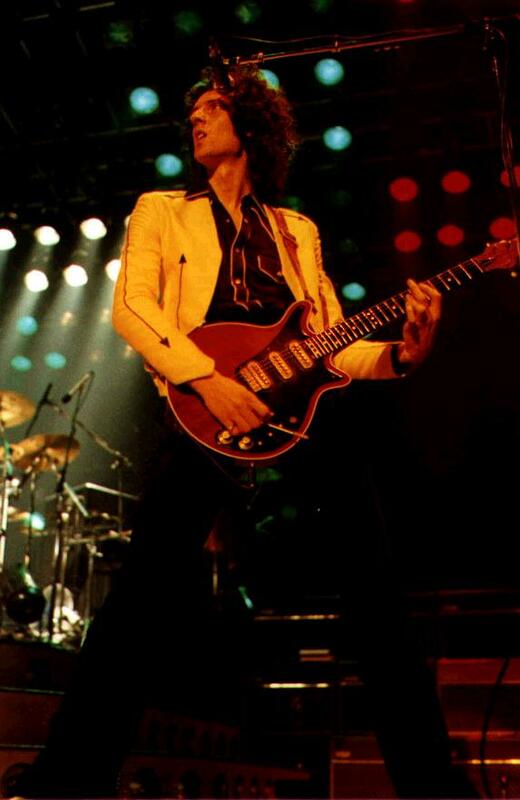 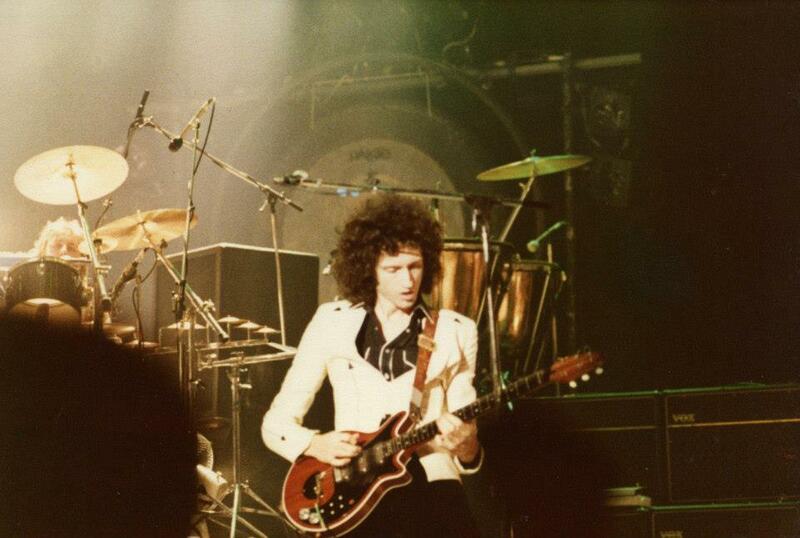 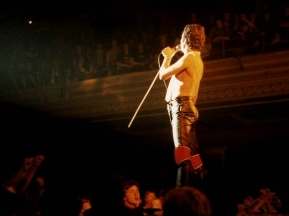 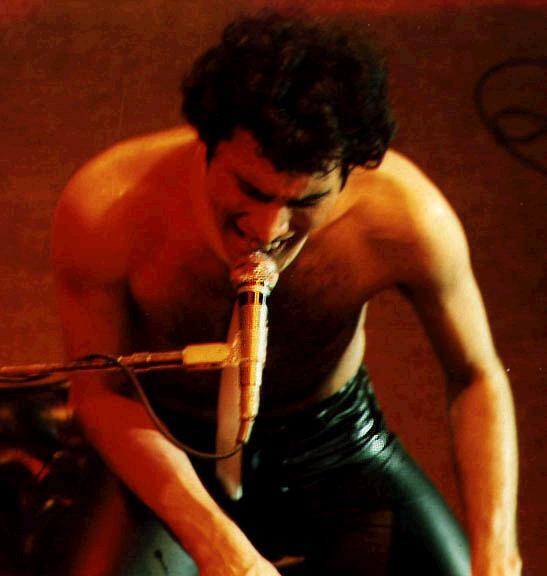 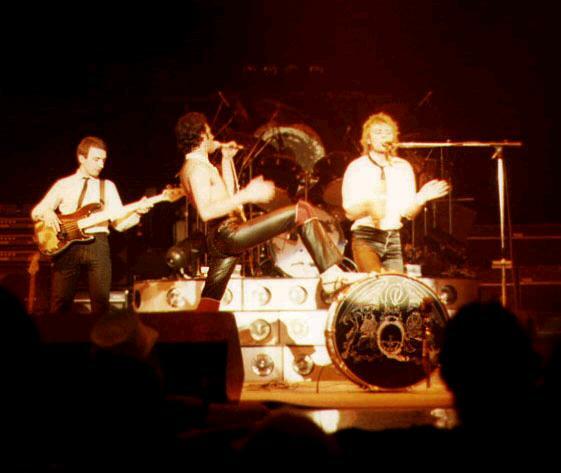 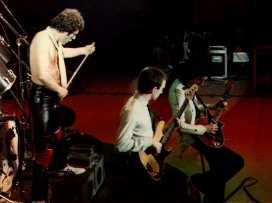 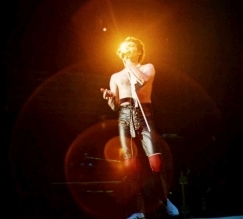 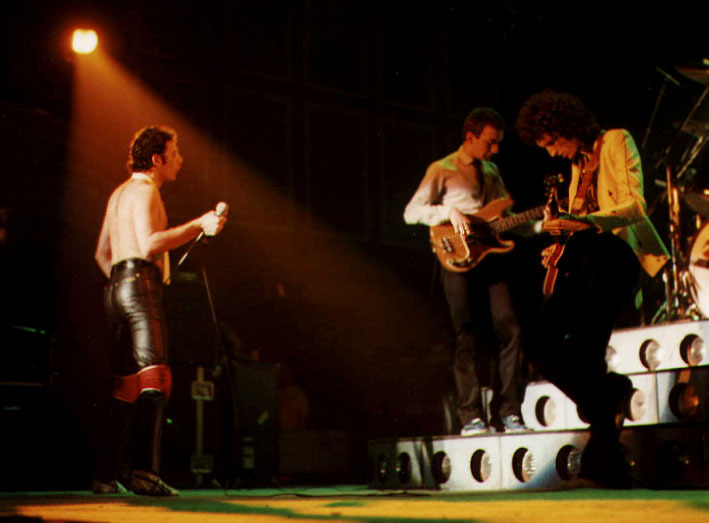 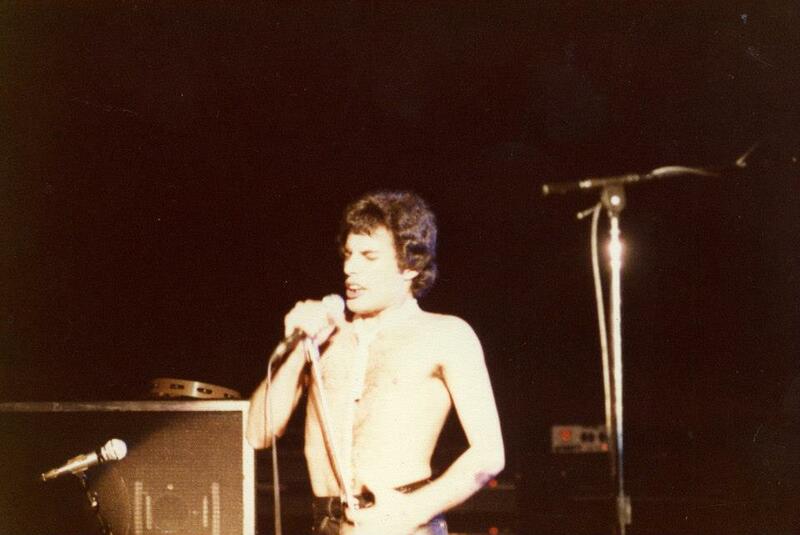 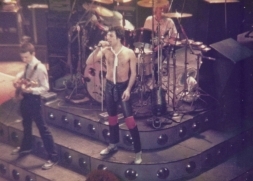 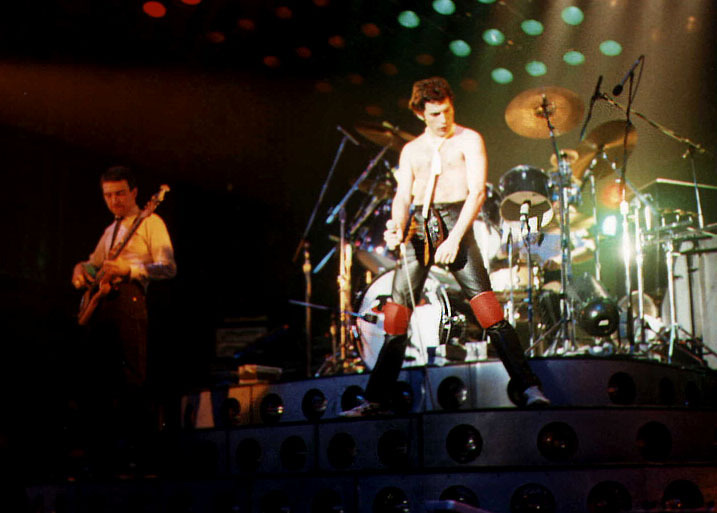 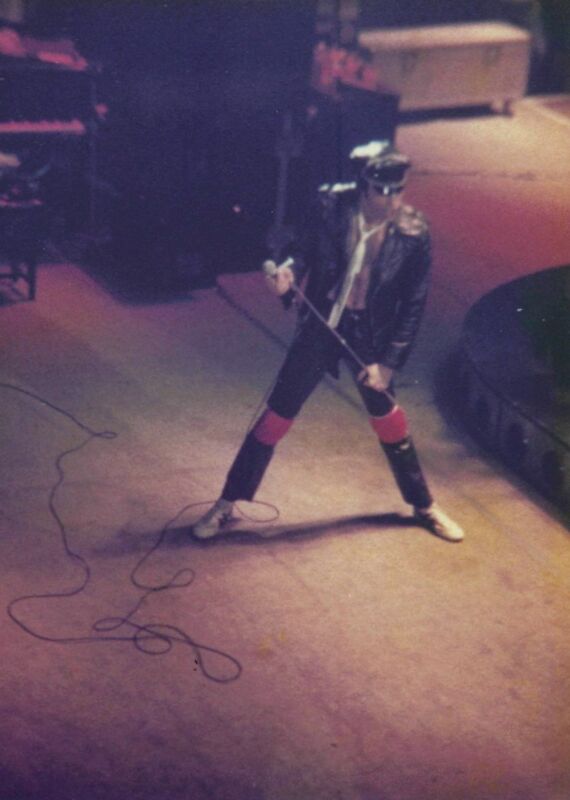 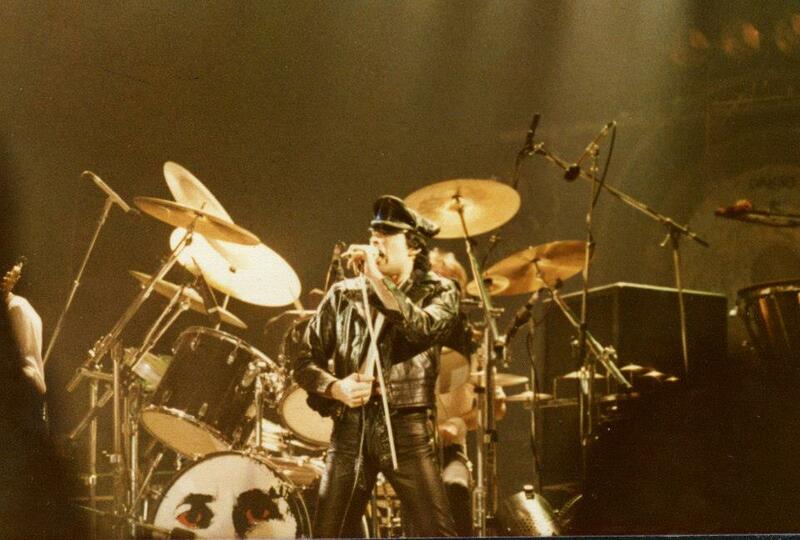 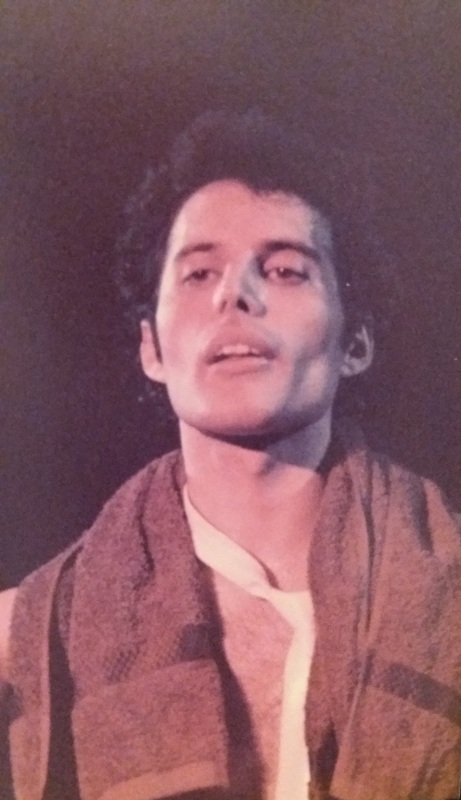 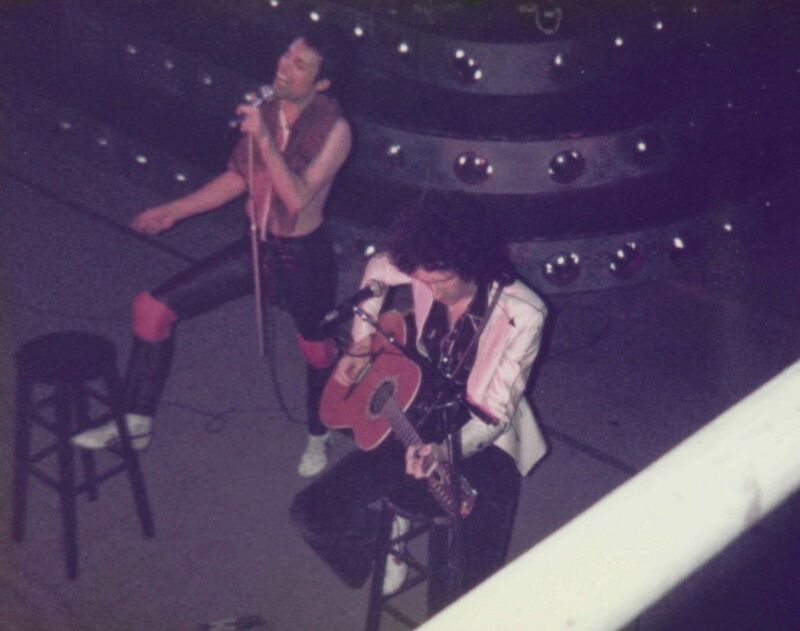 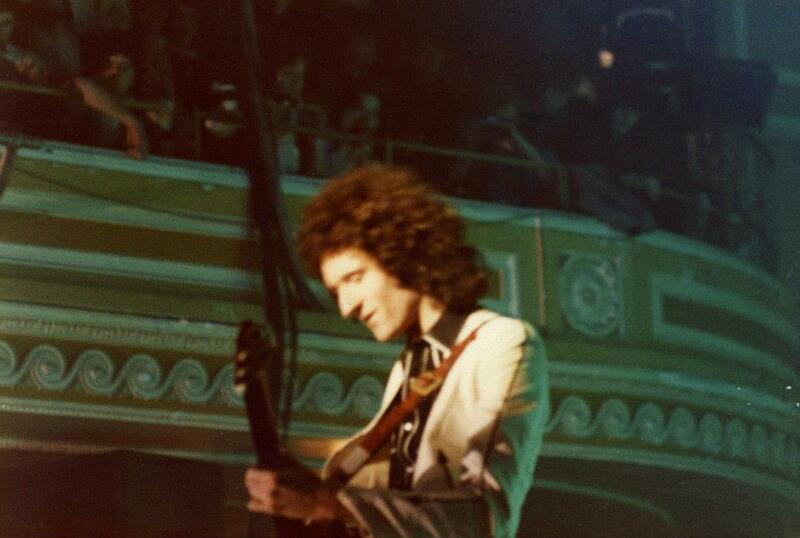 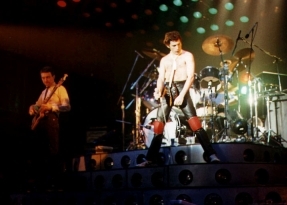 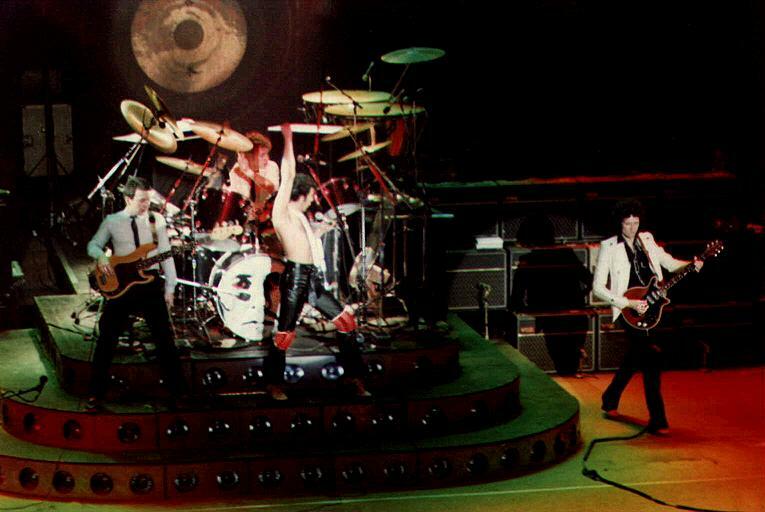 As confirmed by Mark Alexander, Freddie wore his red leather pants on the first night. 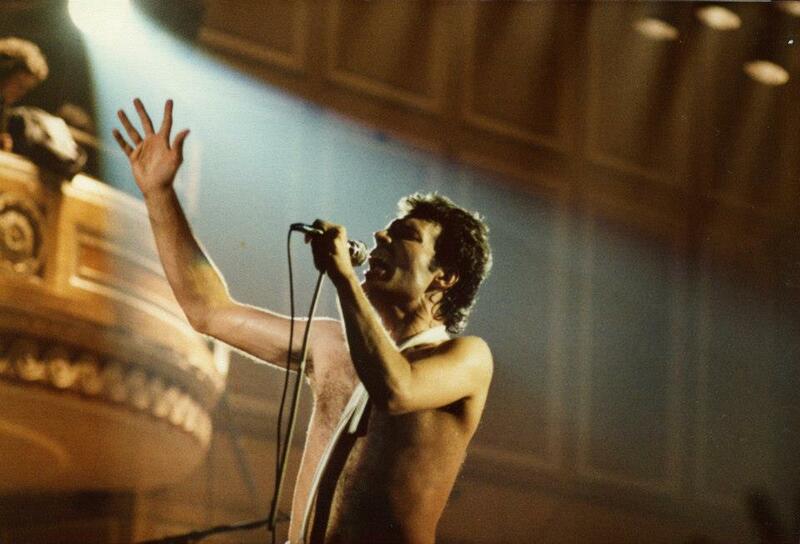 The second set of pictures were taken by Master Marathon Runner, and the third set was taken by Jim Stevenson. 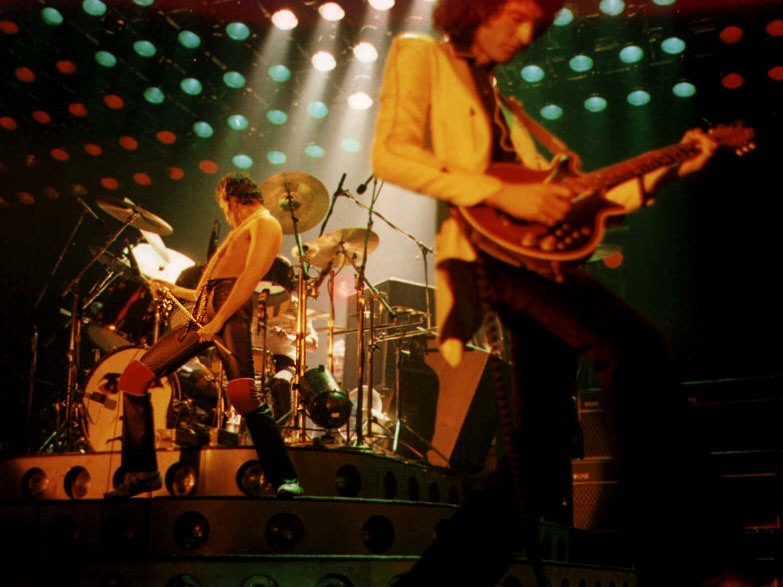 An 8mm video exists from this show, mostly consisting of the first couple minutes of Bohemian Rhapsody. 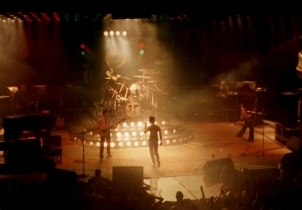 This fantastic show is captured on a good enough recording which presents a very warm and intimate atmosphere in the building. 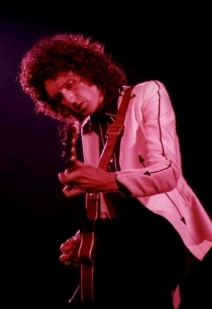 Breakdown's version plays a tad slow, and the EQ focuses more on the mid range, drowning out some of the intricacies in the sound.